Who could resist these cuddly creatures! The Kuranda Koala Gardens is one of the few places in the world where you can hold a koala. Yes, we said hold, as in snuggle with one of, if not THE cutest animal in Australia! Located in the village of Kuranda, a picturesque retreat surrounded by World Heritage Rainforest, this small zoo-like setting is filled with some of the best experiences. As if holding a koala isn’t enough, you can also hand feed swamp wallabies and red legged pademelons, pet an eastern grey kangaroo, bravely walk over a bridge that spans a lake filled with freshwater crocodiles, wander through a noctarium filled with creatures that are active at night such as bettongs and Bilbies, and get up close and personal with Australia’s other favorite marsupial, the wombat and the happiest animal on earth, the quokka. 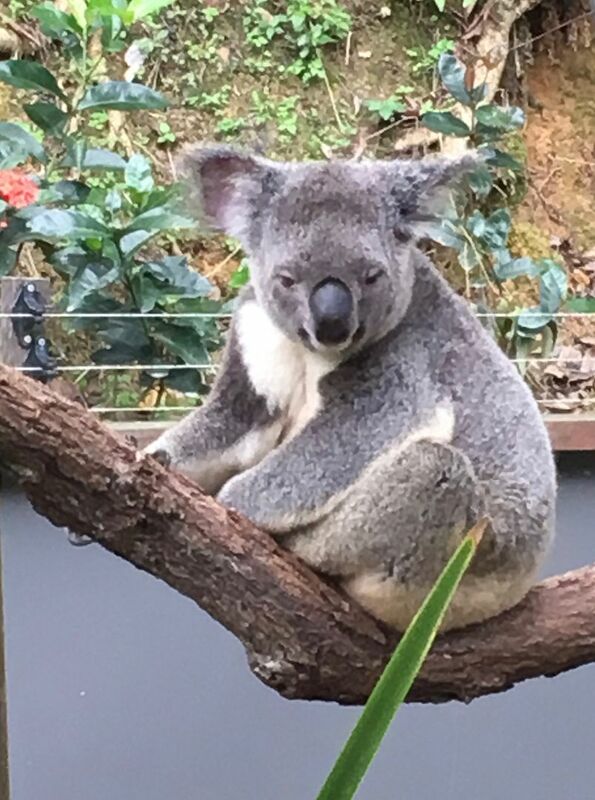 The Kuranda Koala Gardens is a very special place and a must-do for koala lovers!